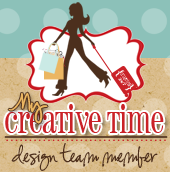 Scrapping Out of Control: My Creative Time Sale! Happy Thursday Peeps! I hope you are having a fabulous day! I wanted to share some awesome news with you today. 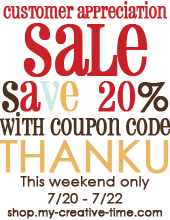 Emma at My Creative Time is have a big sale this weekend!! Please stop by and check it out!! I just love her stamps and the quality is the best! This is a great opportunity to stock up on MCT stamps!!! Well thats all for now. Big crafty hugs!! !